The Warlock machete looks like a beast. Does it perform like one? The machete is one of the most common bladed tools in the world. Machete’s come in many different designs. 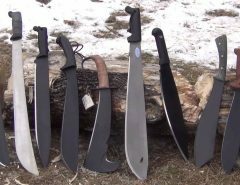 Many survivalists and outdoor enthusiast claim that if they could own only one blade, that the machete would be the best choice. 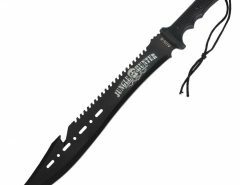 There are so many different styles of machetes and the quality varies dramatically. 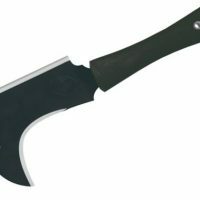 In this article I’m going to review the Condor Warlock machete. If you’re new to Condor Tools and Knives, they make their products in El Salvador and are known for making top quality blades. 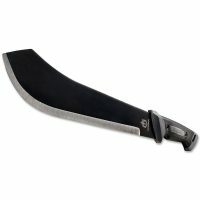 4 Want to see the Condor Warlock Machete in action? 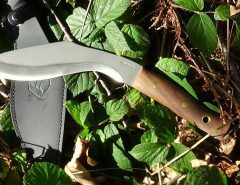 Some machetes like the kukri are great at chopping tasks, some machetes like the Latin machete are great at clearing vegetation. The way the Condor Warlock machete is designed it can do both really well BUT it is primarily a chopper. It’s just too heavy to be using on light slashing tasks all day. If that’s what you’re after, try a thinner, longer machete. 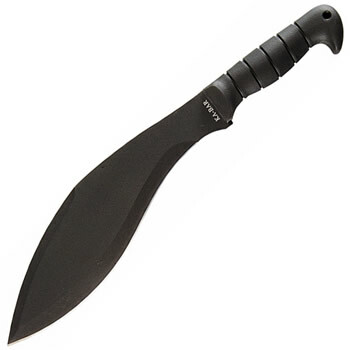 Machetes are normally used within the subtropical and tropical regions for agricultural uses. 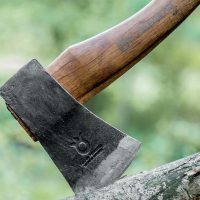 It is the tool of choice when it comes to chopping down sugar cane, but these purposes don’t really make machetes popular for the general public. People love machetes due to their versatility. It may be used for a variety of different types of tasks. Each section of the blade is used for certain purposes. You can create an imaginary division that will separate the cutting edge of the blade in to three sections, you will have the top of the blade, the bottom and the middle. The top part of the blade is the first feature. 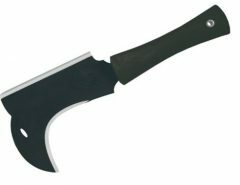 It is used for most of the cutting and chopping tasks then you have the middle that is good for chopping up game, tree branches and slicing meat. Then you have your bottom part which is the easiest part to control so you can use it for finer tasks like sharpening sticks or feathering sticks. Besides the sharpened sections, the part of the blade that is near the handle is blunt. You can use this for hammering objects such as fire steel or opening beer bottles. The handle is long enough that you can adjust your grip so you can have better control. The back of the machete also has different uses as well. You can drive nails and scale fish with it. 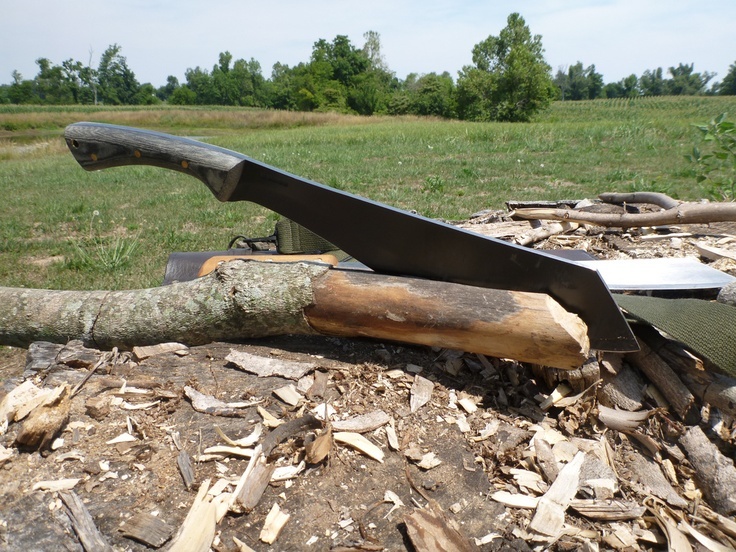 If you need to split logs, the back of the machete is thick enough and strong enough that batoning is not a problem. You can even use it as a makeshift shovel (although I wouldn’t recommend it) or you can flip meat on a grill with it. Just be sure that it is clean when you use it. No one likes dirty meat unless you are in a survival situation, then food is food. It doesn’t matter if you go hiking, fishing, hunting, or just for a short walk in a field, you can always experience nature in a near to primal state. This means you are going to deal with things that aren’t normal for your everyday life, and you will always need a tool that will help you with those tasks. 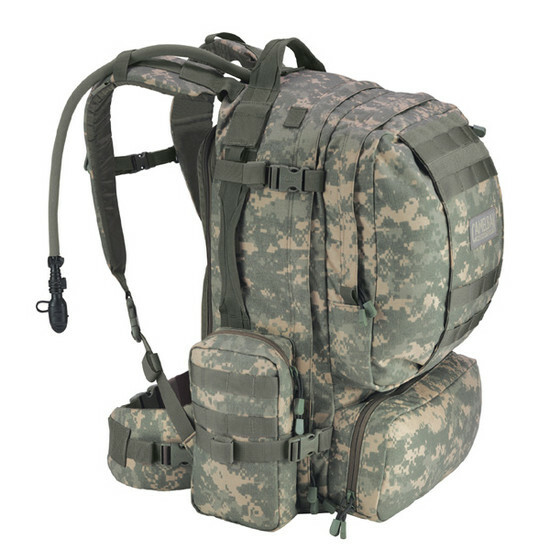 So, when you are out enjoying nature, and you don’t want a chance to be overwhelmed with a bunch of tools, then you need something that is universal and will help you in almost every situation. With a name like Warlock, it sounds like a combat machete. It sure is one cool machete. Condor Tool and Knives create such a tool that will let you perform plenty of different tasks using only their product and the best one is the Warlock Machete. Now every situation is different and the only reason that anyone recommends the Condor Warlock is that it is perfect for mid-range nature. Meaning that you will get the most out of your tools. Condor only has quality craftsmanship, ergonomic features that will really show you what they are all about, and the material quality that they use will not only guarantee reliability, but a long life when in use. The Warlock is a mid-high priced machete. Check today’s price. If you’re looking for a kukri style machete, check out my review of the Ka Bar Kukri. 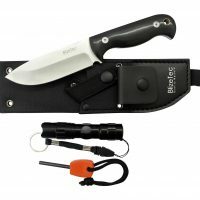 At this price point, I prefer the Condor Bolo machete. 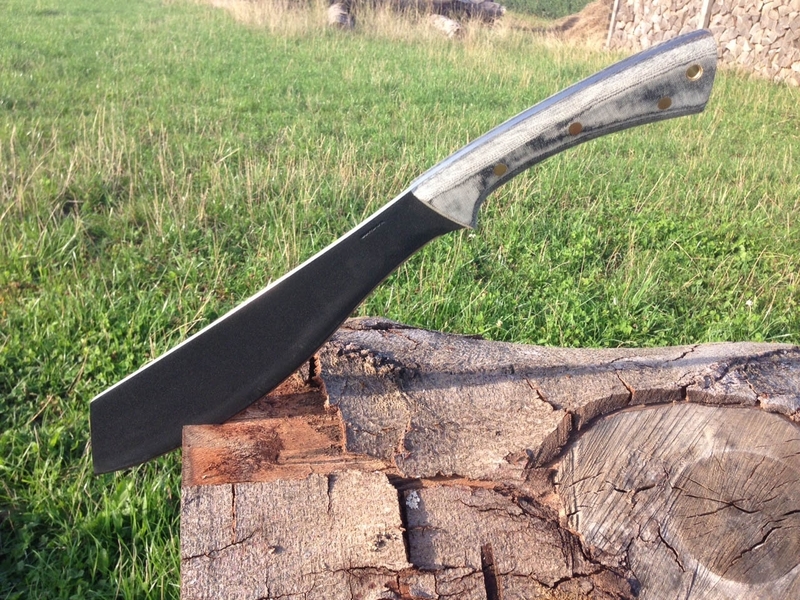 Want to see the Condor Warlock Machete in action? 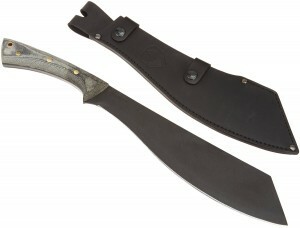 The Condor Warlock machete is very multi-functional that will inspire anyone at the first contact. The blade has a black epoxy powder finish that make it look super intimidating as well as aggressive. Although, the design is what really makes it such a beast of a tool. The blade tapers towards the tip, which will you to have maximum force with each one of your swings. This is an awesome feature that will let you cut through even the most thick and hard pieces of wood or forest. Not to mention since the design makes it very different from other Condor models, it can even be used as a simple knife. 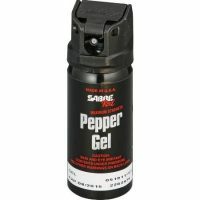 You can use this bad boy to skin fish, butcher game, and even use it as self-defense weapon, if you are ever in that type of situation. The force allows for hacking, but has a pointy tip which allows you to stab. 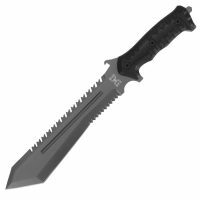 The blade is made from 1075 carbon steel and the blade is 12.5 inches long and is perfect for cramped spaces but comfortable use. It has a Micarta handle and even comes with a black leather sheath for transporting it. What you’re looking for is the ability to perform the tasks you want at a high level and still maintain an edge. 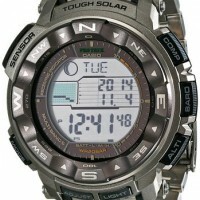 It also has to be comfortable in the hand, not be slippery and have a good balance. Chopping ability – While camping for the weekend I needed some firewood because it was fairly cold and I had my wife with me who feels the cold a lot more than I do. Because I had my wife with me, I must admit I was showing off a bit and of course I had to make sure she was warm which means I needed a big fire. Maybe it’s the inner caveman speaking but I do like to build a big fire (safely of course, I take every possible precaution and don’t take risk when it comes to fire) when I have my wife around. To keep a decent fire going for a weekend takes a lot of wood. So the machete got an absolute beating that weekend. I was targeting the branches of standing dead trees because they’re usually fairly dry and burn well, just don’t pick a bug infested tree. The blade has a big belly and pretty much has the chopping power of a good hatchet which really surprised me. Does it maintain an edge? 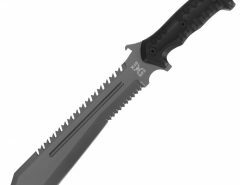 – The machete is made of 1075 high carbon steel which is one of the more popular steels to use. It’s one that many bladesmiths use and they use it because it has a good balance of strength and edge retention and it’s easy to forge with. After a weekend of abuse, the edge held up really well. There was some minor damage to the blade, but you’ve got to expect that and nothing that 10 minutes of sharpening didn’t fix. The handle – A lot of people don’t like micarta. I must admit, I prefer wood but I had no issues with the performance of the handle. I got fairly sweaty but still maintained the grip well. 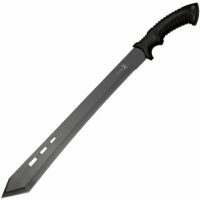 The machete handle is long enough that it can be used one or two handed. Balance of the blade – The big belly near the tip of the blade gives it maximum chopping power much like swinging a hatchet. Other points of interest – If you’re doing a little bit of light clearing work, it’s fine but it’s not the type of tool to use if you’re going to be clearing brush all day. It’s just too heavy and there are better tools available. The black epoxy powder will show some wear and tear as well. That’s not really an issue, that upsets some people but you can’t expect that after heavy use, there won’t be some minor wear and tear. No matter what, this machete is very useful in and out of nature. 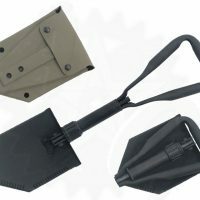 So if you need to clear a path, defend yourself from wild beasts, prepare firewood, or prepare something to eat, you are going to have a very handy tool to do so with. The Condor Tool and Knives Warlock Machete comes in different colors as well, but this is the model that you need that will give you what you want when you are heading off on an adventure. It can be purchased from amazon on this link. An alternative to a machete is the billhook or a knife designed for survivalists. 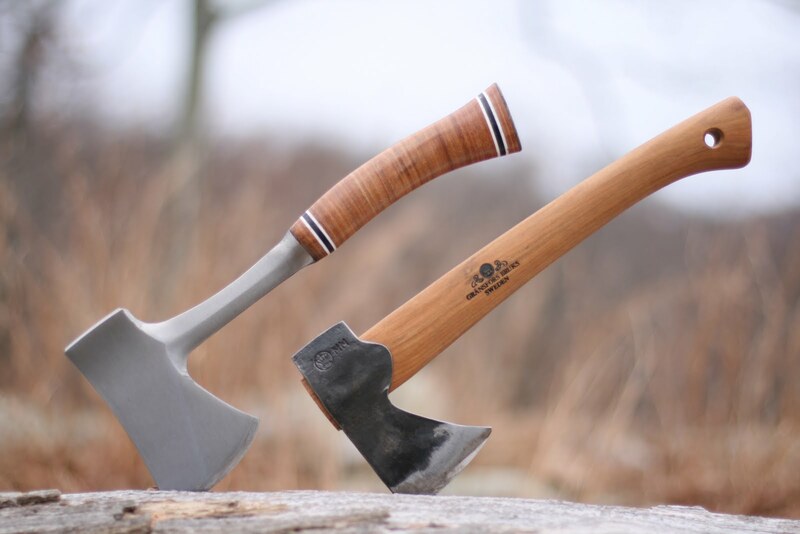 See how it compares to the best machetes.